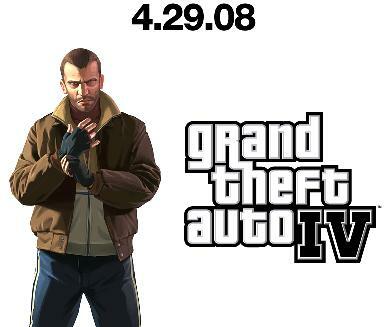 Rockstar has finally announced the GTA IV PS3 and XBOX 360 release date as April 29, 2008. "The next release is still some time in the future. After several months of hibernation development finally continues. Thanks to everyone who has shown interest in this project; your kind words are a great source of motivation. Any programmers interested in helping are welcome." "So, today we're releasing Developer Preview 2! As we said last week, we're focusing on fixing bugs, so all your new feature requests aren't in this release. That said, we've added a few new things to this release that you asked for - windowed mode for scripters being the most significant. We've also fixed about 17 bugs and made a few tweaks here and there and we've included some updated gamemodes and maps." CarThief has created some more GTA2 scripts and maps. Yakuza VS Loonies Battle includes briefcase battle (capture the flag), team battle and deathmatch mode. In this mode you must get to the enemy team base, climb the stairs, steal their briefcase, carry it to your own base and place it on the briefcase spot. If you get killed or busted then you lose the briefcase. You can also transfer the briefcase to another team member (if any) by punching them but it may take a few tries. Download: Yakuza_VS_Loonies_Battle_GTA2_by_CarThief.zip. Please read the readme file for important information. The MTA team have finally released a deathmatch version of their client and server to the public. It adds deathmatch multiplayer to the PC version of San Andreas.